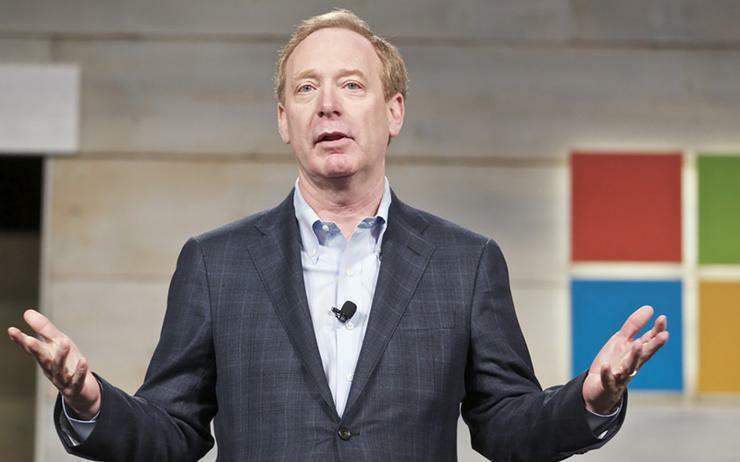 Microsoft president and chief legal officer Brad Smith has called on the public not to “lose that sense of frustration” at technology companies in the wake of the Christchurch terror attack. “Because it needs to be channelled, and it needs to be voiced, and it needs to be pursued, in a way that will make this the inflection point I think it needs to be,“ Smith said. “A real moment when we say wait a second we’re going to do better, we’re not going to let the 20th century repeat itself, we’re not going to sit idly by and let Christchurch be repeated… we’re actually going to come together and make something happen,” Smith told an audience at the University of Sydney. Smith has been on a four-day trip to region, spending two days in Wellington, New Zealand, before coming to Sydney. Social media firms have been roundly criticised for failing to curb hateful content being spread on their networks. On Tuesday, Attorney-General Christian Porter met with representatives from Facebook, Google and Twitter to threaten legislative action, after calling their response “thoroughly underwhelming”. According to Facebook, the livestream of the gunman’s headcam was viewed fewer than 200 times during the broadcast, and about 4000 times in total before being removed. But users shared and re-uploaded the video to the platform: Facebook said it had removed 1.5 million videos of the attack globally, 1.2 million of them at upload. YouTube said last week it had removed “tens of thousands of videos and terminated hundreds of accounts created to promote or glorify the shooter” and had been working “around the clock’ to rid the platform of the footage. Twitter told Computerworld it had created new automation tools to improve its “proactive removal powers”. “More than 90 per cent of terrorist content on our service is now removed proactively using our own purpose-built proprietary technology, and the majority of accounts are suspended before their first Tweet. As the Christchurch attack shows, our work will never be complete,” a spokesperson said. Smith – speaking at an event organised by the university's United States Studies Centre – did not name the social media platforms, but said it was “fundamentally important that we use this as a learning moment” adding that “the first part of we is the tech sector especially”. “I think one of the things that this whole episode shows is that at the end of the day in every area of technology people will rightly be judged by their failings, perhaps even more directly than their strengths and successes,” Smith said. Microsoft’s own services were not widely used to spread the footage, Smith revealed, and the company was able to stop most upload attempts. “But it didn’t mean we were perfect either,” he added. The technology used to block and take down the footage “didn’t do enough” and any solution would require “better technology and more human interaction” and an improved sector “crisis response” Smith said. “And there’s a need to step back…to think about the online environment that the world is creating that technology platforms are creating," he added. "I just think there are too many days where digital discourse has become far too toxic. And it’s a huge leap from hateful speech to killing people, but the first is not helpful."